I was pleased to see the tribute story about Dan O’Neill written by Arla Shephard Bull, a regular contributing reporter for the Kitsap Sun. 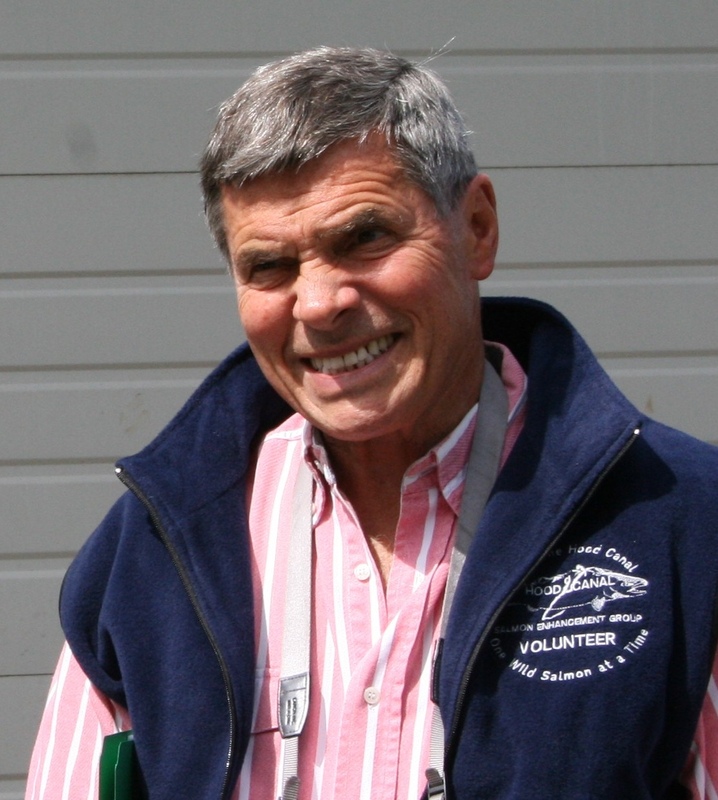 Dan, who played a key role in Puget Sound restoration, died in October at age 81. A celebration of his life is scheduled for Saturday from 11 a.m. to 1 p.m. at the Salmon Center in Belfair. Dan was a longtime board member for the Hood Canal Salmon Enhancement Group based at the Salmon Center. He also served on the Washington State Transportation Commission and was a member of the Leadership Council, the governing body of the Puget Sound Partnership. I don’t remember Dan ever saying anything flashy, but I could always count on him for an honest assessment of various situations. He looked at all sides of an issue. His comments were thoughtful and down to earth. His unique role on both the Transportation Commission and Leadership Council put him in a good position to address some serious environmental issues. We talked about stormwater runoff from highways and salmon-blocking culverts. He was downright practical about these matters, even when funding measures inexplicably fell into legislative cracks. On the Leadership Council, Dan was always looking for ways to help the public understand the issues better. He once told me that he learned from my stories about the environment, which was nice to hear. During this time, Dan served on the board of The Greenbrier Companies, a publicly traded railroad car leasing and manufacturing company. He was also a founder of and investor in PowerTech Group, Inc., a business security software company. Sheida Sahandy, executive director of the Partnership, said she appreciated his business sense. Dan’s obituary can be found in the Kitsap Sun. I have to admit that I was surprised when Tony Wright, executive director of the Puget Sound Partnership, announced last week that he would soon be leaving to return to private consulting. But I suppose I have only myself to blame. I don’t know why, but I never asked how long he was committed to staying, and nobody else brought up the issue. Neither Wright nor the governor emphasized the short-term nature of the job “which would make me a lame duck the day I started,” Tony explained to me. The first director of the partnership, David Dicks, put the fledgling agency on the map. He reached out to communities across the state and got everyone involved. He worked with the Legislature. But he was not as focused on the inner workings of the partnership, and some mandated deadlines were missed. Some financial accounting mistakes were made. The second director, Gerry O’Keefe, focused intently on getting the staff up to speed on the work products demanded of the agency, and they were numerous — from ecosystem indicators to a Science Update to a new Action Agenda. Tony helped complete work on the Action Agenda and reorganized the staff while reaching outside the agency to plan a strategy for getting the work done at the federal, state and local levels. The agency’s organizational chart (PDF 680 kb) shows clearer lines of authority, with much of the staff focused on implementing the various plans. Still, the partnership has not fully developed the administrative structure envisioned by the Legislature, according to a new report by staff of the Joint Legislative Audit and Review Committee. 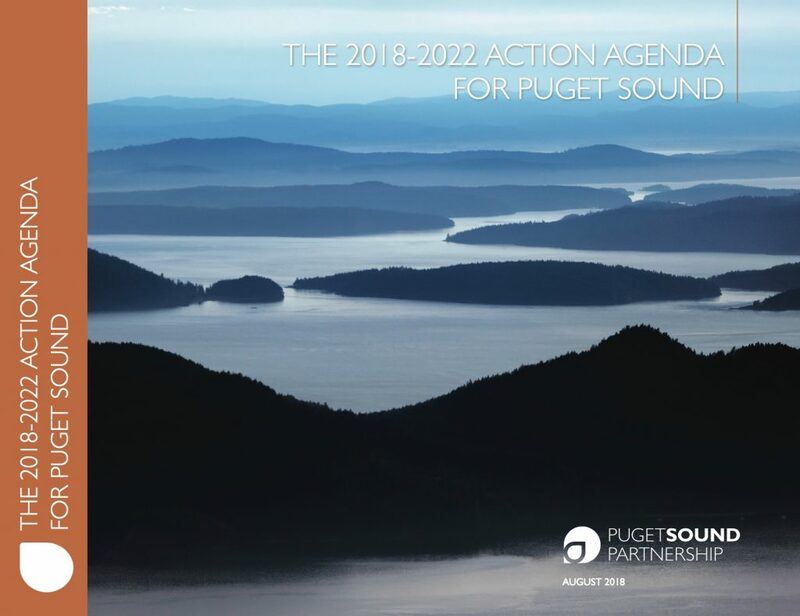 What is needed is a clear understanding of what a healthy Puget Sound would look like, along with measurable goals to achieve that condition and an accounting of how various actions can contribute to those goals. See today’s Kitsap Sun or review the draft JLARC report for yourself. The Legislative mandate sounds simple enough, but the job becomes exceedingly complex as one delves into it. First, there’s the question of what a health Puget Sound would look like. Joe Gaydos of the SeaDoc Society, who chaired the Puget Sound Science Panel last year, once compared a healthy ecosystem to a healthy person. Do you want the person to be healthy enough to walk around and hopefully avoid a heart attack, or do you want him to be prepared to run a marathon? The Puget Sound ecosystem will never be as vigorous and dynamic as it was in its “youth” before development, and perhaps avoiding collapse is the first step on the way to a healthy ecosystem. This issue deserves a wider discussion among the people who live here. What are our “alternative futures” for Puget Sound? Can we discuss what it will take to change the present course to varying degrees? We also need a greater understanding about the connections between land and water at various depths, the behavioral relationships among species, the energy pathways in the food web and much more. Scientists are beginning to come to grips with these issues, but the science must make its way into policy decisions and become accessible to you and me. The “links” between actions and progress toward a healthy ecosystem could be better understood, and researchers need to measure the success of restoration projects so that funding agencies can replicate what is working. Puget Sound Partnership is making progress. If the legislative mandate does not recognize the complexity of the task, maybe it is time to refine our expectations written into law. Maybe it is time to have a broad discussion about what the partnership has accomplished and what is yet to be done. It is equally important to remember, however, that the partnership is a coordinating agency. The work itself gets done by numerous government agencies and by many other groups — including what people do in their own backyards. It won’t be long before local governments will be called on to do their part to restore Puget Sound. That’s one conclusion I drew yesterday from a conversation between representatives of the Puget Sound Partnership and the Kitsap County commissioners. Martha Kongsgaard, chairwoman of the PSP’s Leadership Council, and PSP Executive Director Gerry O’Keefe have been visiting local governments throughout Puget Sound to learn what they are doing now and to gauge their capacity and willingness to do more to improve the natural environment. It has long been recognized that the effort to protect and restore Puget Sound requires the support of the people who live here. And local officials tend to be much closer to those living in their community. As a result, they can often bridge the gap between decision-makers at the top levels and the people who need to make changes in their daily lives. When I wrote my recent progress report on the Puget Sound Partnership, my story included little more than brief quotes and snippits of information from a variety of informed people. It is somewhat rewarding to have a blog where I can bring you more complete impressions of the people I interviewed. Here is the first in a series of expanded reports from those interviews. 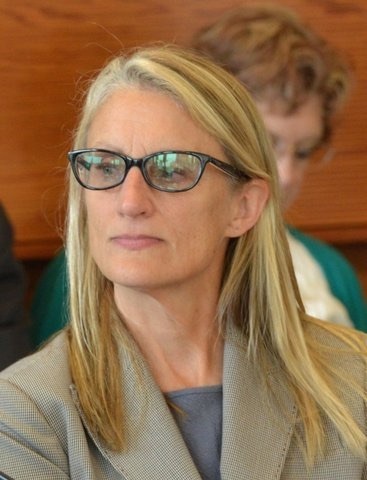 Martha Kongsgaard took over as chairwoman of the Puget Sound Partnership in July of last year, when Bill Ruckelshaus retired from the position. Martha previously was vice chairwoman. See news release, July 20. Although I had interviewed Ruckelshaus many times over the years, this was the first major interview I conducted with Kongsgaard, best known as the founder of the Kongsgaard-Goldman Foundation. The foundation supports various nonprofit environmental, social justice and arts organizations throughout the Northwest. She has served on boards and committees of Earthjustice, Islandwood, the Future of the Law Institute and Friends of the Methow. Martha grew up in Napa, Calif., where her family raised cattle and operated vineyards. In 1988, she married Peter Goldman and collaborated with him to establish the foundation that carries their names. In our interview, Kongsgaard said a lot of frustration has been expressed around the goal of cleaning up Puget Sound by 2020. While that may be a goal to “agitate around,” the effort to protect and restore Puget Sound will be ongoing, no matter how much is accomplished by 2020, she said. When I returned to work today after two weeks of vacation, I learned that Bill Ruckelshaus was “retiring” as chairman of the Leadership Council — the governing board for the Puget Sound Partnership. It has always seemed to me that Ruckelshaus was the steady hand on the wheel as the Puget Sound Partnership moved through stormy seas. Certainly, Ruckelshaus deserves to retire after a long career of public service and business enterprise. But wait. Bill does not retire the way you or I might. In a conversation this afternoon, I learned that he is preparing to lend a hand to the Puget Sound Foundation — the educational and private-fund-raising arm of the Puget Sound Partnership. Oh, I said to him, with government funding drying up, you think you can go out and find private money to save Puget Sound? He laughed. “It might be awkward to raise money as the chairman of a state agency,” he noted. The first step, he said, is to establish goals for how donations might be spent. Private donors generally want firm guidelines, he said. It appears the Puget Sound Partnership will remain busy the rest of the year with a variety of critical activities, many of them mandated by state law. I reported on last week’s meeting of the Leadership Council in a story published in Saturday’s Kitsap Sun. The meeting focused on approving a new Strategic Science Plan (PDF 11.8 mb) and efforts to identify indicators for measuring progress toward restoring Puget Sound. Helping write upcoming budgets for the state’s natural resource agencies and crafting new legislation will occupy significant time. One of the interesting discussions about indicators was the question of whether jellyfish or herring should be used as an indicator of ecosystem health. Herring were said to be a broader measure, since they are eaten by far more species than jellyfish. At the same time, changes in herring population are harder to relate to a specific cause. The balance could be tipped toward herring, since so much historical data are available. The council reviewed a new organizational structure (PDF 2.8 mb), which puts science squarely into the picture. There was a general agreement that vacant positions on the science staff need to be filled as soon as possible. Especially important is the science program director, who will direct day-to-day work at the partnership, and the natural resource scientist, who is seen as a liaison with the broader scientific community. Another important post is the oil spill research analyst, which is also vacant. 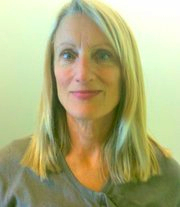 Jan Newton, a member of the Puget Sound Science Panel, made an impression on me when she pointed out how unique a place Puget Sound is. Puget Sound Partnership must not be limited by studies that have been done in the past. The organization has the horsepower to call for new research in its quest to figure out how the ecosystem really works.